There comes a time in the life of a beer lover, in general shortly after discovering that beer is something more than what he had been taught, in which one feels an irremediable impulse to create. Suddenly, it seems that drinking and discovering the new flavours brought by great brewers from here and there is no longer enough, and there is a further step to take. That is how, more or less consciously, one enters the wonderful world of homebrewing. "The author accompanies the homebrewer along the process, as if he was beside him"
But... where does one start? In the world of immediacy and live streaming, any shortcut is welcome to achieve the ultimate goal. But some start brewing at home without proper documentation, and the haste eventually becomes a waste of time. In some cases, even the thrill of producing is vanished. 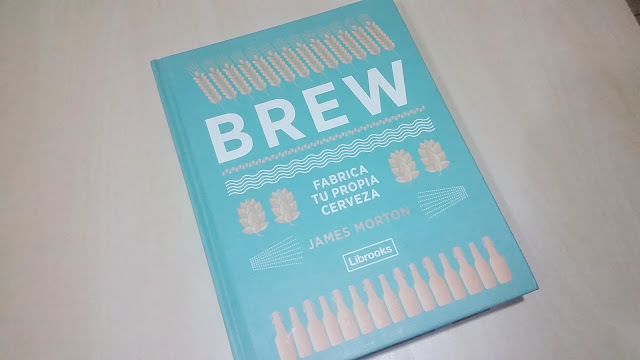 Some books, authentic masterpieces on how to brew, can be tedious and inaccessible for the new enthusiast, but luckily there are publications with a more friendly and informal approach, easy to read and look up, as is the case of 'Brew', by James Morton -recently translated to Spanish by Librooks-. Introduction... just in case, basic concepts about beer and brewing elements, before going knee-deep into it. Equipment and material... information and preparation of what is needed to make beer at home, whether from a kit or all grain. Producing... the steps to take when the time comes, with an additional section of diagnosis and troubleshooting. Recipes... detail of up to 35 tested recipes, so that there is no lack of material or incentive to keep brewing. The author achieves his purpose thanks to the previously listed structure of blocks, accompanying the home brewer as if he was by his side dictating the steps. A well-structured book, which not only follows a logical order when presenting the contents, but also has a brief synthesis under each title that allows to understand ​​what is addressed in each point: very useful for quick lookups. Very attractive in terms of presentation. Hard cover, and with consderably thick pages, it is full of beautiful photographs, which masterfully match the content. Easy to read, with a page design that helps keeping you focused, while also containing graphic elements and relevant parallel information. Likewise, it uses just the necessary technicalities, avoiding the distance or boredom for the newcomer. With an informal approach, both in the tone of the text and with the photographs. The author often turns up to give a more personal touch, seeking at all times to show characteristic aspects of homebrewing and basic homeware stuff, highlighting the fact that the book actually is about brewing at home. Practical, with step by step information on everything you need to produce beer at home from a kit, or all grain following the brew-in-a-bag method. Beyond whether you share the techniques used by the author or not, I do not see any disadvantages or negative aspects to comment. Or perhaps a small one: if you consider hygiene within the sub-heading 'Rules to live by' do not take pictures of glasses that clearly could have been better washed. Even when you want photography to be recognisable and authentic. The lack of homogeneity when converting styles: for example, translating to 'Ale Ámbar' and leaving 'Brown Ale'. Or translating 'Weissbier' as 'wheat beer' just in some cases, and as perfect equivalents. The translation eagerness leaves some slightly awkward recipe names, such as 'Una ácida funky de sesión' - in the original text, 'Funky Session Sour'-, or too creative -'Tripel Threat' is translated to 'Tripel Salto' . It is a matter of style, and therefore debatable, but I would personally have left the names of the recipes unaltered. Obviously, anyone who has the aspiration to brew beer at home, including those who already regard themselves as homebrewers, in order to contrast techniques and processes. And, where appropriate, refine some methods. It can be useful, too, for those who want to go deeper into the steps necessary to make homemade beer without actually aiming to brew, although the practical approach of the book makes other works more adequate in content and structure to keep in a theoretical level. The author's informal style, as well as his obsession to do things in the most homemade and simple way possible, without losing rigour, helps to make the brewing process something accessible and easy to internalise for the reader. In this sense, as a book of initiation to homebrewing it is a magnificent point from where to start, encouraging the amateur to explore further in his hobby through more technical works and sources. Title → Brew. The foolproof guide to making world-class beer at home. Publication → 2016 -1st edition- by Quadrille Publishing (USA). Translation → Brew. 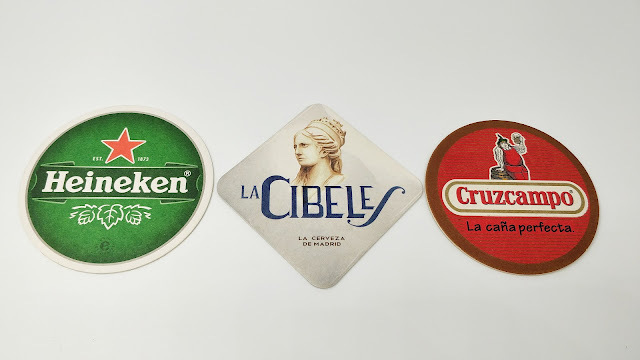 Fabrica tu propia cerveza (2017, Librooks Barcelona). Translator → Miguel Alpuente Civera. Size → 20.0 x 25.4 x 3.2 cm. It can easily be found in libraries and a wide number of online book sellers, as well as in Librooks' website. Transparency disclaimer: the book 'Brew. Fabrica tu propia cerveza' was provided for free to me by the editor, Librooks.